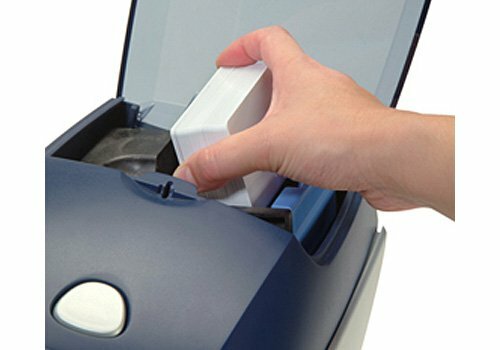 Width: 7.9" Height: 9.3" Depth: 14.5"
The affordable ZXP Series 3 direct-to-card printer is the best-in-class choice. Utilizing ZRaster™ host-based image processing technology and True Colors ix Series high-performance ribbons, the ZXP Series 3 achieves fast print speeds and high image quality. Compact and simple to use, with easy to load ribbon cartridges and LCD menu, it requires little training and optimizes performance. 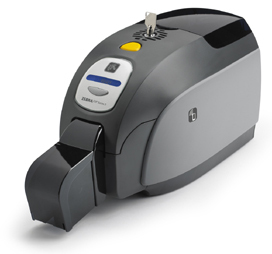 The printer offers encoding options, including EMV and magnetic stripe. Print one or both sides of the card with high-quality color or monochrome ribbon options. 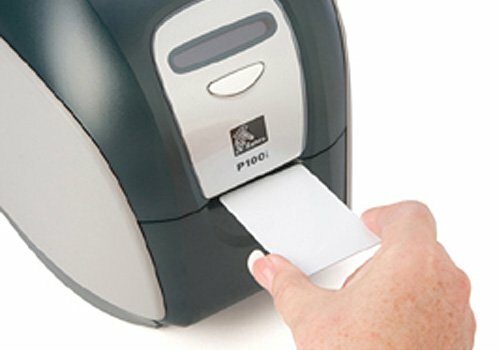 Input/Output Hopper: 100 card hopper. Card Sense™ single card feed.